The Downton Abbey Ryther close coupled bathroom suite captures timeless elegance and truly will give any bathroom a graceful quality. 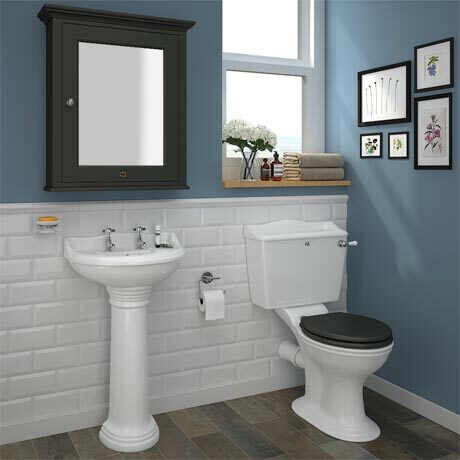 The suite comprises of a close coupled toilet with ceramic lever flush and Charcoal soft closing wooden toilet seat and a compact 500mm wide basin and full pedestal with 1 or 2 tap hole options. All Downton Abbey sanitaryware is crafted to the highest standards and comes finished in classic gloss white. OK looks and fits great and at a good price.